If you love the flavor that adding fresh herbs to your cooking gives, but you hate to spend a lot of money in the grocery store to constantly purchase them, then you may have just figured out when to plant a home herb garden. Once you have come to the conclusion that you will be better off doing it yourself than relying on the store to have just what you need, you are ready to make the move to growing the herbs yourself. When to plant your herb garden will depend on where you live. If you live in an area with mild winters, you may plant most herbs in the fall or the spring. However, if you live in a colder climate and experience hard frosts, you will need to be aware of the exact requirements of the herb(s) you are planting. While indoor herb gardens can be planted virtually all year round in containers or via hydroponics, the best time to start an outdoor garden in the northern hemisphere is in the spring time and after the last threat of frost. However if you’re starting with seeds you can get a jump on the season by starting your seeds indoors under grow lights or in windowsills that will allow 4-6 hours of daily sun, usually at a south and/or west facing window, and then transplant them to the garden (or if you prefer, larger containers) when the weather warms up. Look for compact seeds as they will grow best in indoor containers and check seed packets for individual planting depths. For best results from this method use the same kind of containers and potting mix that you’d use for other indoor seedlings, keeping the soil mix moist until the seeds germinate. Set lights between 3 to 6 inches above the plants, and water thoroughly whenever the soil gets dry to the touch, but not too wet as that can result in root rot. Always keep your plants away from temperature extremes like the kitchen stove or a fireplace. For best results before transplanting outdoors, help the plants adjust by putting the seedlings outside briefly each day while progressively increasing the time for a week or more. Of course the first step is to figure out what herbs you want to plant and where, keeping in mind that most herbs require lots of sunshine and moderate wind protection. Luckily, this type of garden doesn’t take up a lot of space. You can use an existing vegetable garden or a raised garden or even grow the herbs in separate containers if your yard has minimal space. Once that’s determined and understanding that the time of year can make a big difference to the growth of any plant, you’ll want to know when to plant your home herb garden. 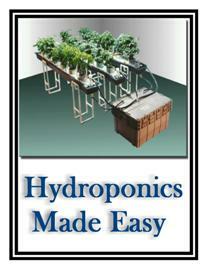 Once the plants have enough foliage to sustain growth, you can start harvesting your herbs continually. The more you harvest the more growth the plant will produce. Pinch off flower buds to keep the plants growing.